Arnold Schwarzenegger is an Austrian actor, producer, businessman, investor, author, philanthropist, activist, politician, and former professional bodybuilder. Schwarzenegger is one of the most popular bodybuilders of all time; and even if you don’t follow the sport, you will know who he is. 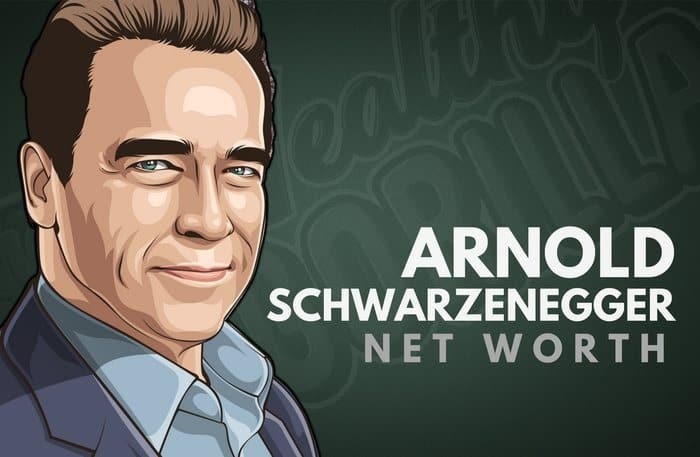 As of 2019, Arnold Schwarzenegger’s net worth is estimated to be $400 million. Arnold was born in Thal, Styria, on the 30th July 1947. He is the son of Aurelia and Gustav Schwarzenegger, who have both passed away. Gustav was a chief of police and former World War II veteran. Schwarzenegger says that both of his parents were very strict and that at that time, Austrian children were expected to be very obedient, and were kept in line by their parents. Schwarzenegger grew up in a Roman Catholic family. As a boy, he played various sports, but picked up his first barbell in 1960, when he was 13. His soccer coach took the team to a local gym, and a year later, Schwarzenegger realized that he was much more passionate about bodybuilding than soccer as a potential future career path. Schwarzenegger said that he stumbled upon a bodybuilding magazine when he was young, and he was mesmerized. He read the magazine faster than he’d ever read anything else. Arnold’s first competitive win was when he was 18 years old, in the Junior Mr. Europe contest. Since then, he became addicted to competing and went on to win a large number of trophies and competitions, which you can learn more about in the next section. During his bodybuilding career, he won 5 Mr. Universe competitions, and 7 Mr. Olympia competitions; a number which Phil Heath has just tied with. After a very successful career in bodybuilding, Schwarzenegger cracked his way into the movie business. Even after people had told him that he wouldn’t be a good fit for movies; due to his size, and his Austrian accent. He always aimed for the top, and continued to climb the ladder, subsequently becoming the Governor of California from 2003-2011. How much money is Arnold Schwarzenegger worth? Now, he’s a bodybuilding icon, an accomplished actor, and one of the richest bodybuilders in the world with Arnold Schwarzenegger’s net worth being $400 million dollars. View our larger collection of the best Arnold Schwarzenegger quotes! Arnold uses muscle building as a metaphor for pushing beyond your limits and achieving your goals despite the challenges. A champion doesn’t give up at the first sight of pain or sign that they have reached their perceived limits. You must always be looking to improve and earn that extra inch. Consider all of the consequences of failure and use them as a catalyst for pushing through when the going gets tough. No matter how hard it gets, never retreat, and never surrender. What Arnold means by this is that we must always strive to be, do, and give more. We must never become complacent and sloppy. As a species, we are the most magnificent beings on earth. Just like the apes, we came from the trees. But what have the apes achieved in millions of years? They are still swinging from branches. Dolphins are still swimming in the ocean, and birds are still making nests from twigs. Humans, however, have created computers, automobiles, the internet, and space stations. From nothing but sticks and stones, we have somehow created airplanes, virtual reality, and telescopes that can see other galaxies. We have the power to thrive. Read the full article of Arnold Schwarzenegger’s success lessons! Arnold Schwarzenegger is undoubtedly the most famous bodybuilder of all time. He has inspired so many young individuals to become bodybuilders and has achieved crazy levels of success. What do you think about Arnold Schwarzenegger’s net worth? Leave a comment below.